What are Intra-Articular Peripheral Joint Injections? Intra-articular peripheral joint injections are a non-invasive treatment option used by physicians to relieve chronic pain and inflammation within the joints. 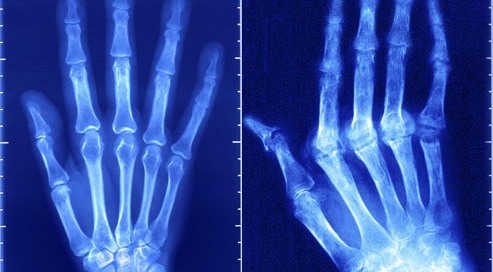 Rheumatoid arthritis is a steadily growing health condition in the United States that causes serious pain, swelling, and inflammation of the joints. It develops when the body’s immune system begins to attack healthy tissue. This chronic disease decreases a person’s mobility and can eventually lead to joint deterioration. Treatment for a long-term disease such as rheumatoid arthritis may eventually require surgery. The joint injections are frequently recommended to patients who experience long-term pain from joint injury, rheumatoid arthritis, and degenerative musculoskeletal diseases. In many cases, intra-articular peripheral joint injections work quickly and are successful in long term treatment. The intra-articular peripheral joint injection is an out-patient medical procedure that takes minimal time to administer. In certain cases, this procedure has given patients months of analgesia and has increased the mobility of the problematic joint, thus improving the patient’s quality of life. The patient is placed in a comfortable sitting or lying position that best exposes the area of the joint that is to be injected with the treatment. The patient’s skin is thoroughly cleaned with an antiseptic solution before the injection is administered. Once the intra-articular peripheral joint injection begins, the physician may use fluoroscope guidance to assist with inserting the needle into the precise region where the joint pain has been identified. A local anaesthetic may be administered with the steroid injection to aid in the anti-inflammatory and analgesic effects of the treatment. Once the needle is inserted into the joint, the patient will experience numbness and tingling in that area. After the procedure is completed, the patient will be moved to a recovery room and the effects of the intra-articular peripheral joint injection will be monitored. 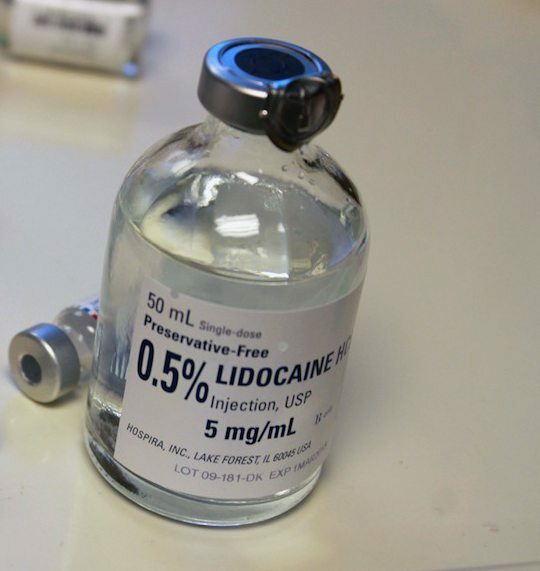 Pain relief may be felt immediately by the patient due to the local anesthetic. Although joint injections are a common procedure, side effects may occur. Facial flushing, infection, tenderness in the injection area, bleeding, hematoma, and allergic reaction have been reported. It is recommended that patients minimize activity and rest for at least 24 hours after the injection. If the joint pain is not minimized after the intra-articular peripheral joint injection, then the actual location of the joint pain will have to be further examined by the physician. At that point, it is common for more diagnostic tests to be administered in order to pinpoint the origin of pain in the joint. 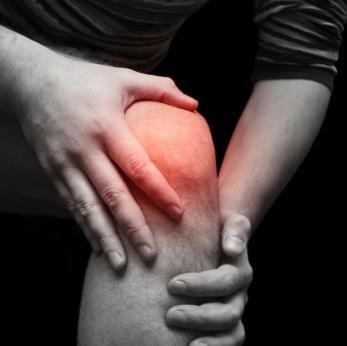 Patients should begin to recognize pain and inflammation relief from the intra-articular peripheral joint injection treatment within 24-48 hours after the injection. Results have shown that pain relief depends on the patient and could last anywhere from a few days to six months. Follow up injections may be recommended to provide the most effective pain management. Intra-articular peripheral joint injections are frequently beneficial to patients with joint injury, rheumatoid arthritis, and bone degenerative diseases. The most common areas that are treated with this method are the ankle, knee, elbow, and shoulder joints. Joint injections have been shown to greatly relieve pain and increase the patient’s mobility. Intra-articular peripheral joint injections are recommended to patients who have not had success with opioid types of treatment. This type of joint injection is also administered to patients who are not suitable for surgery due to other health conditions. Intra-articular peripheral joint injections are commonly administered to patients who encounter joint injury, develop rheumatoid arthritis, or are diagnosed with degenerative musculoskeletal diseases. These joint injections can be a long-term treatment option to provide the patient with pain and inflammation relief within their problematic joints. It is important to speak with a physician about the frequency of needed intra-articular peripheral joint injections, as too many injections a year may weaken the bone or tendons in the joint in which they are administered. Bird HA. Intra-articular and intralesional therapy. In: In: Rheumatology. — Hochberg MK, Silman AJ, Smolen JS, Weinblatt ME, Weisman MH, eds. (2004) 3rd. London, UK: Elsevier Science. 393-8. Cardone DA, Tallia AF; Diagnostic and therapeutic injection of the hip and knee. Am Fam Physician. 2003;67(10):2147-52. Carek PJ, Hunter MH. Joint and soft tissue injections in primary care. Rheumatology. 2005;7:359-78. Charalambous CP, Tryfonidis M, Sadiq S, et al. Septic arthritis following intra-articular steroid injection of the knee–a survey of current practice regarding antiseptic technique used during intra-articular steroid injection of the knee. Clin Rheumatol. 2003;22(6):386–90. Gilliland CA, Salazar LD, Borchers JR; Ultrasound versus anatomic guidance for intra-articular and periarticular. Phys Sportsmed. 2011;39(3):121-31. Meinig RP, Holtgrewe JL, Wiedel JD, et al. Plasma bupivacaine levels following single dose intraarticular instillation for arthroscopy. Am J Sports Med. 1988;16(3):295–300. Nichols AW; Complications associated with the use of corticosteroids in the treatment of athletic injuries. Clin J Sport Med. 2005;15(5):370-5.